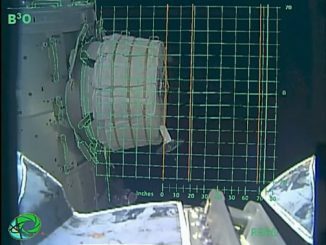 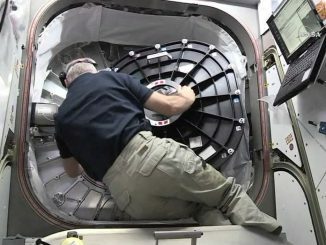 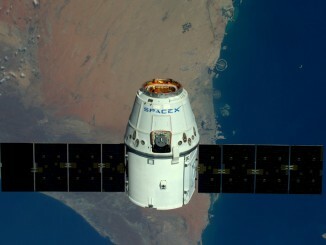 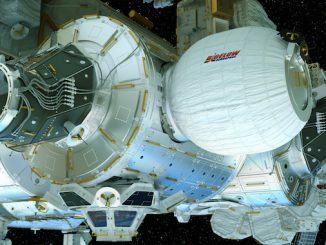 SpaceX’s Dragon supply ship executed a laser-guided rendezvous with the International Space Station early Sunday, delivering an experimental expandable enclosure for attachment to the complex later this month for tests to verify the inflatable design’s suitability for future space habitats. 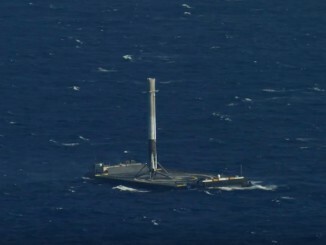 A SpaceX Falcon 9 rocket booster descended under engine power to a floating landing platform in the Atlantic Ocean on Friday, notching the first-ever rocket landing at sea minutes after liftoff from Cape Canaveral with a supply ship hauling 3.5 tons of cargo to the International Space Station. 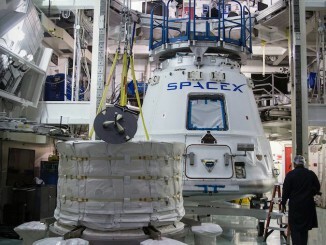 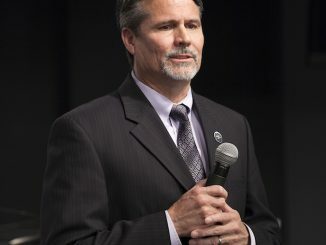 SpaceX’s eighth operational cargo mission to the International Space Station is set for liftoff with nearly 3.5 tons of research investigations, crew provisions and an experimental expandable habitat for the International Space Station. 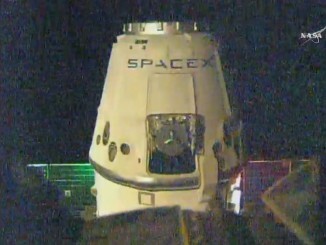 SpaceX’s Dragon cargo capsule arrived at the International Space Station early Sunday with 3.5 tons of supplies and experiments, including an inflatable room to test out technologies for future use on deep space missions. 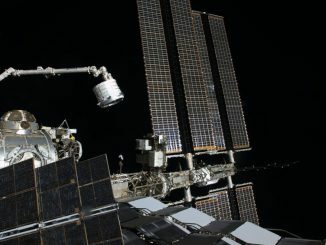 British astronaut Tim Peake captured Dragon with the robotic arm at 7:23 a.m. EDT (1123 GMT).